Professionals almost in any practical field would tell you that safety is paramount in the work place and that it should be considered a priority. This is very true, as it brings to focus the importance of human life and welfare over every other subject in the workplace. It is the responsibility of the employer to ensure that the workplace is safe and compliant with all safety stipulations for operation as failure to do so could lead to a work-related injury for the employees. 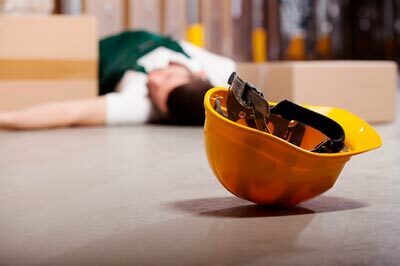 If you suffered a workplace injury, you are entitled to get compensated for it. The compensation would depend on the severity of the injury and how much is needed for your treatment. You would, however, need an experienced attorney to spearhead your case and help you get the attention you deserve. Rawa Law Group is a foremost legal firm here in Azusa, we have all the expertise and resources required to guarantee you a successful case. Our expert investigators will go above and beyond to identify the cause of your injury so as to create a strong argument for you in court. Our work injury attorneys in Azusa are all well versed with all the clauses of a work injury related claim; we know how to get through to insurance firms and obstinate employers to get you the right treatment. Rawa Law Group is a 5-star firm that is committed to being your voice and bringing you the best service. Do take advantage of our free consultation sessions today and reach out to us.